The biggest challenge for your online business is creating a healthy email list using the right email service provider (ESP). Because this is the era your business success is located in the solid customer list which can level up your business to sustainable relaxation. Then, a question must arise on your mind - what is the right email marketing service? Based on the choosing criteria for right ESP, Aweber might come up on top for your strong consideration. In a nutshell, Aweber is one of the top-notch Email Service Provider brands in the world for bonafide email marketing service. They have fewest cons and top popularity in the result-oriented email service arena worldwide. The company offers a wide range of email marketing tools for solo, small, and medium businesses. The ESP power of Aweber is built based on many essential properties. Here some 10 features might give you solid inference why Aweber is right Email Service Provider for your money-blog, startup or small business. If you're a little bit familiar with the email marketing processes, Aweber will be a pretty friendly worthy platform for you. The easy usability of autoresponders, opt-in forms, pop-ups creation, and so on, might give you extra confidence with the new taste of email marketing campaign. Then, you could enjoy smooth usability making the email delivery valuable. While you're a new user, all you'll need taking a patient time and efforts for uncovering the valued operability. It's sure you'll needn't hire someone to fix the things. Basically, email automation is a result of playing the main campaign tool. Aweber provides a powerful email marketing platform to create timely sequence autoresponder for automating your marketing funnel. You have very easy leverage to create targeted email automation flows using a simple drag-and-drop editor. You could design the campaign tagging subscribers and triggering the campaigns based on their behavior such as open and click. It helps to generate a personalized email for lead nurturing campaign including welcome message delivery. Excitingly, their service plan automates the emailing send to the right person in right time is a very time-saving program. An Aweber account has powerful integration ability to combine lots of third party relevant tools that empowers harvesting big result. It helps to connect tools with their robust email marketing API for collecting subscribers and importing a list as well. This email service provider includes featured integration tools such as WordPress, Paypal, content management tools, many CRM tools, e-Commerce tools such as Shopify, WooCommerce, various landing pages, Lead generation tools, productivity tools, social media tools, Social adverts tools, survey tools, video tools, Webinar tools, and many more other tools. Importantly, Aweber has own unique suite of mobile apps let you know the email performance and subscriber information instantly. It enables to integrate mobile apps to enhance big benefits from all sizes of device users. Aweber platform enables you to create highly engaging emails by choosing from more than 700 mobile responsive HTML templates. You have many ways to customize the template using multiple designs, color schemes and layouts that match your brand fabulously. You could send state-of-the-art professional emails that will be great looking on any devices. Importantly, you have scope to add your logo and if need a suitable image from their stock over 600 free images. Email marketing using RSS is a state-of-the-art popular method for booming blog's readership. While you have a blog, you can reach out the articles to the subscribers using Aweber's easy "RSS to email" platform. Aweber provides device-friendly easy RSS-to-Email newsletter service that bloggers love. If you have a blog, you have an easy chance to transform your blog posts into newsletters for your subscribed readers. The process is automated by RSS feed. RSS, which is elaborately "Real Simple Syndication" is a specific sort of file format that enables subscribed readers to get reading automatically when a new post is published. And, the email service provider will give you the settings while you give them your RSS feed and let them know how often you would like to message. All they'll set for you that goes automatically converting RSS feed into email marketing newsletters. Course Details: Communication is key. Know what to say with email sequences, automation & growth hacking skills to explode your list! 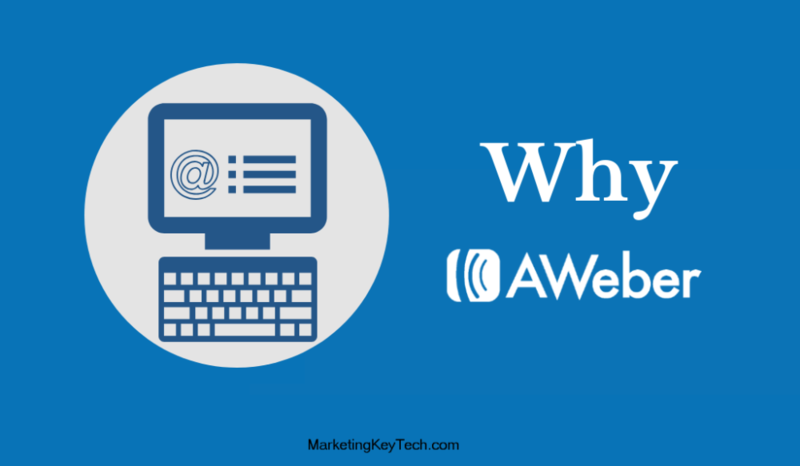 Aweber has a long history to serve the email inboxing with top deliverability rate. They've highly confidence over the service to provide you an industry-leading result. In terms of boosting deliverability, they'll provide you hybrid list management leverage, email marketing tracking, subscriber management, email segmentation. Using the specific tools, you have easy operability to track the subscribers, generating segments, managing list, deleting bad emails, sending targeted emails according to performance and geographical area or activities. All these efforts comprehensively make the highest deliverability even cent percent in most cases. AWeber offers a free trial for 30 days is conveniently enough time to determine this magnificent platform. After the trial, their effective price starts from $19/month for up to 500 email subscribers. In case of largest list size, subscribers over 25,001, you can ask for a convenient quote that might be negotiable. Smart service deserves the smart price. Their pricing policy is impressively affordable, manageable and competitive for all size of businesses. They've tailored the pricing plan sagaciously according to the needs of your business in every stage of its growth. In fact, there are no remarkable limitations in Aweber in terms of your adequate email marketing campaign. You might claim, lack of offering webinar tools service can be one of the cons, but third-party tools such as GoToWebinar can meet this requirement. Another claim regarding pricing plan compared to GetResponse which reveals a slight gap that only $4/month higher. While you could unlock your good fit with the overall features, this silly gap will be quite ignorable in terms of your increased ROI wheel speed. The big difference than other email platforms happens on Aweber email deliverability that comes through its own delivery infrastructure. Its now ensured the top class of email deliverability which increases more opens, more clicks and after all more sales. Keeping the highest deliverability up with excellence the tireless entire Aweber team is working around the clock. It delivers more permission-based contact in one month whereas most of the competitors take a year. Aweber provides the best conference on delivery that they needn't go with any outsourced email delivery infrastructure like Drip and ConvertKit. They claim this is why they have full control over the system to maintain the highest quality deliverability. Thus it comes on greatness, while they always assure the technical side smoothly actionable so that users can get the best experience on crafting their delicious campaign as well as maintaining all other connections with existing buyers. The company has highly responsive award winning customer service. What I've got the pretty experience is inspiring. Their team works round the clock for supporting their valued customers and audiences via phone support, live chat support, and email support. In addition, they have a regular live webinar, tutorials, and lots of resources to meet the knowledge requirement. You needn't be expert or familiar with split testing. While you contact their team of email experts as an AWeber customer, they will show you the ways how to effect this powerful feature, and how you can use your result to power your next campaign. The team is available round the clock! #2. Q: “How to create a better segment in my subscriber lists? There are many ways to slice and dice your subscriber lists so that you can create a profound contact and convert them into customers. As an AWeber buyer, you can chat, call, or email their email experts' team anytime to help you solving the request that meets your goals. It's quite easy with Aweber to get set up on your own. But obviously, you'll ask their team of round the clock email marketing experts who will show you how to get started. So, you're quite free from worry about the things you feel need help. Just chat, call, or email them at any time! And you can launch your email series within a short time today. Finally, the best authentic value of Aweber will appear at your end, while you take a full featured 30-day free trial offer. We do recommend, the trial could give you solid chance to uncover the real value, ability, and beauty of this bona fide email service provider. You'll not deprive your passionate business taking this provider whereas they have trusted plan for all size of businesses. Because, they have a pretty long history of happy email marketing service that rewarded lots of customers with glorious success. Build a better email marketing strategy. Connect with more customers.